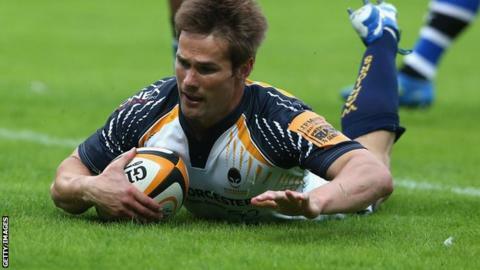 Worcester Warriors utility back Errie Claassens will join Bristol at the end of the season. The 31-year-old South African, whose brother Michael plays for Premiership Bath, has made 26 appearances for Worcester, scoring seven tries. He previously played for Rotherham Titans and London Welsh. "I was shown around the club and I had a good feeling about their ambition. Everything felt right," he told BBC Radio Bristol. "You hear what people say about Bristol and it's all good stuff. When you see the ambitions they have for the club, you want to be a part of that. "It's a wonderful opportunity and something to look forward to."